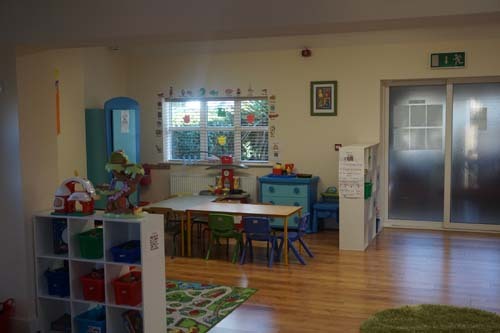 Our Preschool 1 facility has both full time and sessional classes available to our families. Full time is anytime from 7.15 am to 6.30 pm and our sessional classes run from 9.15am to 12.15 pm and from 1.15pm to 4.15 pm. All our staff have recently completed the online informal Siolta course. 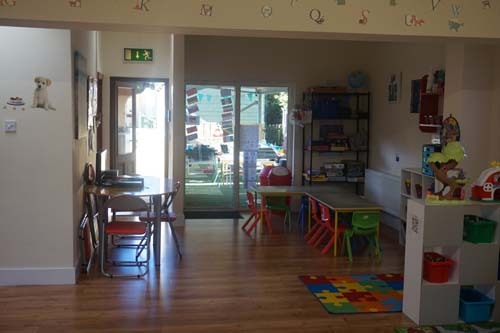 In Preschool 1 we offer a wide range of activities that promote socialisation and development. We follow the new early years curriculum framework Aistear to help us plan our curriculum carefully. This ensures that we are meeting all the early years milestones. All the childern have access on a daily basis to our all weather garden area. We have a well planned routine to support children who attend both sessional classes and the childen who are full time. Our main emphasis in playschool is to learn through play.